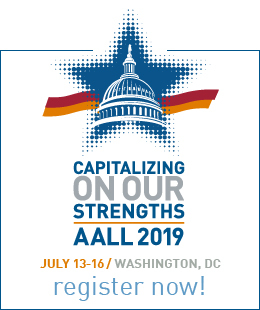 The purpose of the Alan Holoch Memorial Grant is to assist individuals with travel or registration expenses for the American Association of Law Libraries Annual Meeting. 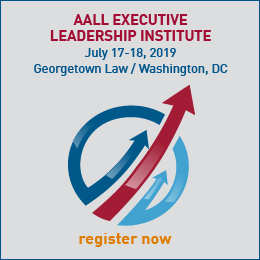 Individuals chosen to receive a grant have the potential to make significant contributions to law librarianship through their involvement with AALL and the Social Responsibilities Special Interest Section’s Standing Committee on Sexual Orientation and Gender Identity. The grants are funded by a bequest to the Committee from the former director of the Ohio State University College of Law Library, Alan Holoch, who died in 1991. The grant will be awarded to any member of the SR-SIS, and preference will be given to those who have not received this grant in the past. In the event circumstances prevent the use of the grant by a grant recipient, the grant reverts to the Alan Holoch Memorial Grant Fund. Recipients will be required to perform service to the SR-SIS and/or Standing Committee. That service could include writing an article for the newsletter on any topic, volunteering to serve on a SR or SC committee, serving as a board member, other any other project agreeable to the Standing Committee Chair during the year the grant is award. The chair will confirm with the grant committee that the recipient satisfied the obligation. Applications must be completed and received by April 30, 2019 and may be submitted electronically using this form or may be postmarked or emailed directly to: Josh LaPorte, Head of Circulation, Fineman & Pappas Law Libraries, Boston University School of Law, 765 Commonwealth Avenue, Boston, MA 02215 or jlaporte@bu.edu. Late applications may be considered at the discretion of the Committee. Along with your completed application, please submit one (1) letter of recommendation from either an employer or a colleague or peer. Recommendations should be sought from those who are familiar with you and your library related activities. Letters of recommendation should be emailed to Josh LaPorte jlaporte@bu.edu, with a subject line that includes “Holoch Grant Application Letter of Recommendation” or sent via mail.